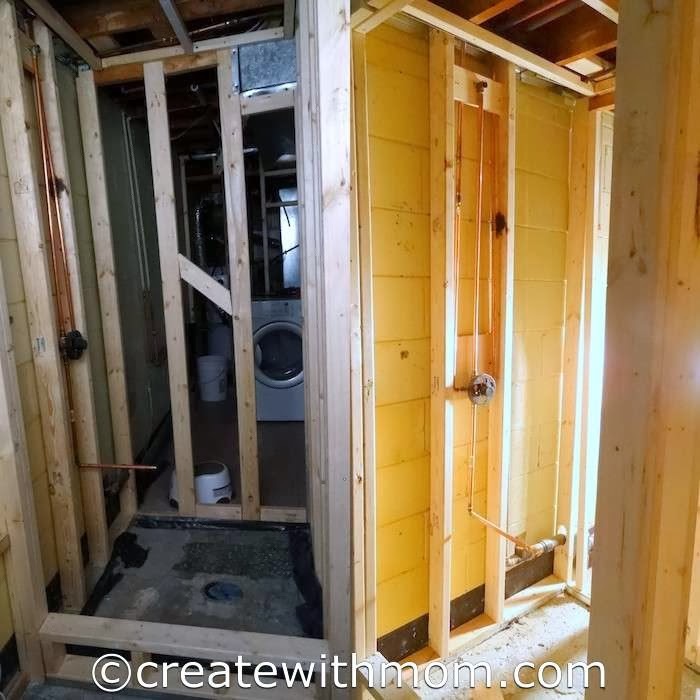 We started a #BathroomReno project in the beginning of November, as a weekend and some days in the evening type of project. Having one full washroom and a powder room in our home is not convenient for a growing family like us, so instead of moving to a bigger home we wanted to upgrade ours to accommodate all the family members. 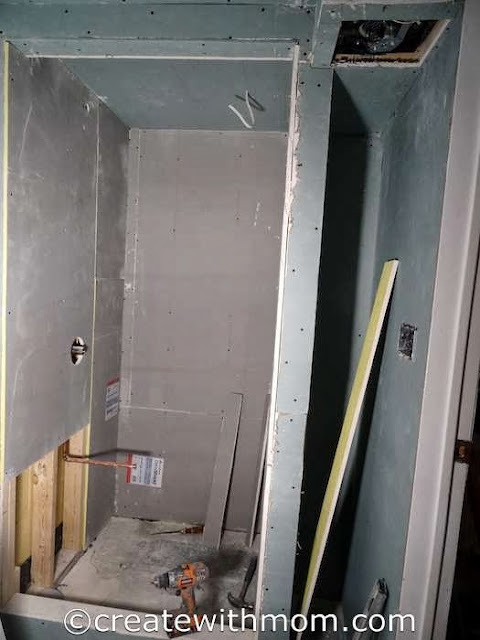 Our initial plan was to install a stand in shower stall using the stand in shower kit and the ready-made shower wall. 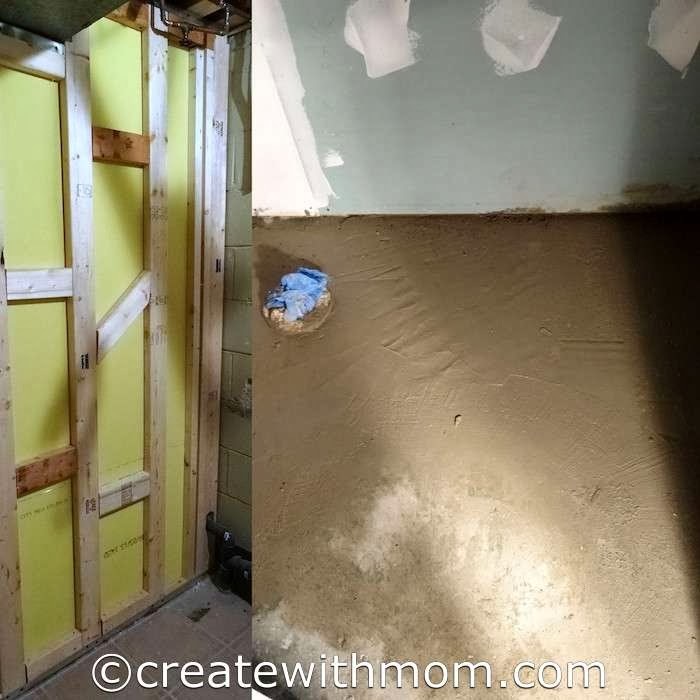 However, when we removed the closet that was going to change into the shower stall, we saw that the space had more potential and options for expansion. We were not pleased with the layout of the powder room, as the toilet was right in front of the door. 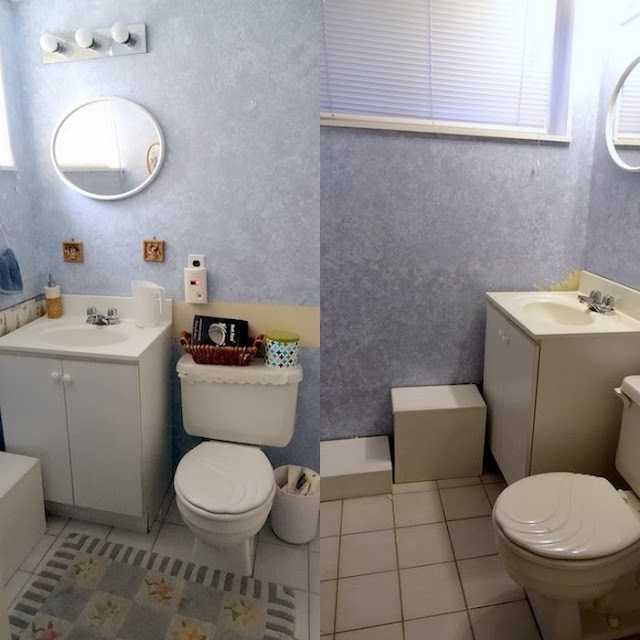 My husband and I decided we might as well change the entire powder room to make it a modern, eco-friendly, long lasting and convenient bathroom. 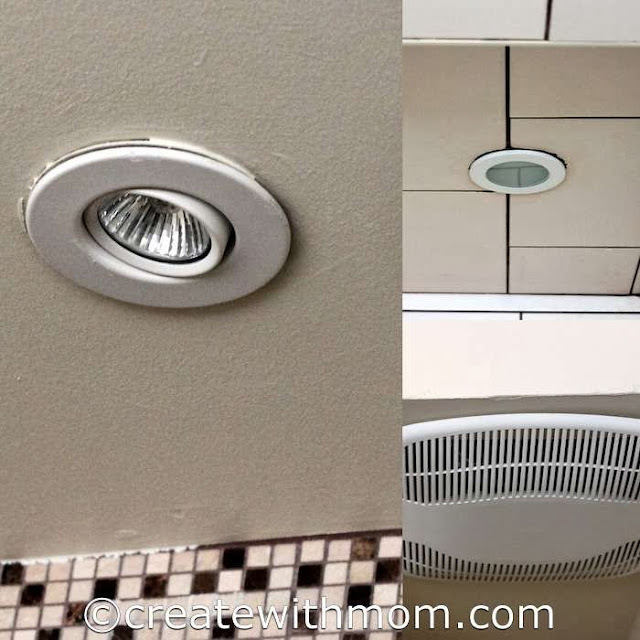 This project was a lot of work and can become costly depending on how much you want to do and spend, but it is a good investment that everyone in the family will enjoy and benefit from. 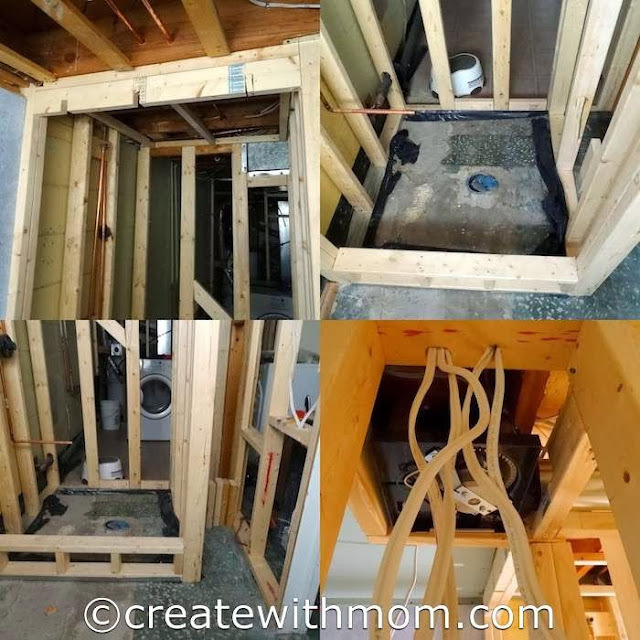 Due to our wants and the rearrangement of where we wanted the faucet, toilet, shower and built-in closet, we had to redo the plumbing and electric work that required the help of a professional plumber and an electrician. 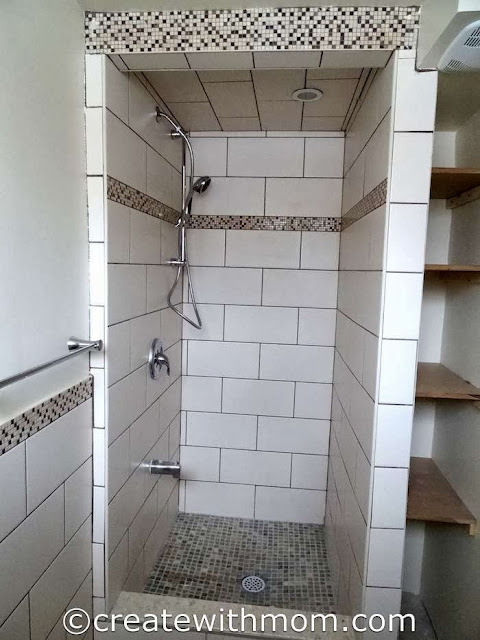 Once the plumbing and electric work was in place we had a wonderful learning experience fixing the shower stall, putting in dry walls, tiles, installing the faucet, hand shower and accessories. 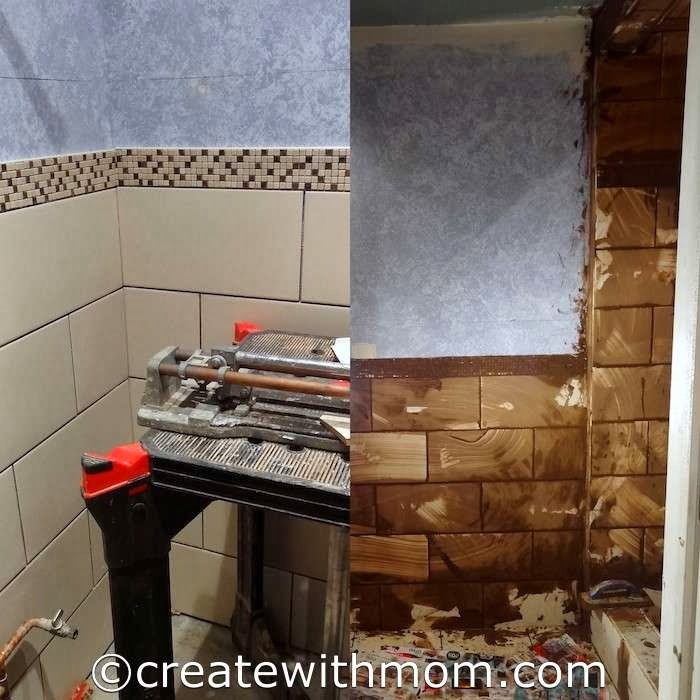 Our #BathroomReno vision was inspired by the FalliDays theme that Home Depot had and their home upgrade classes. Their convenient location for us to go to many times, and convenience of being able to get the products was quite important during this project. We are glad that the products we wanted to use were readily available. We were also able to rent tools and ask for help from the courteous, and knowledgeable staff that made it a place where we could always go to and get the things we wanted. We bought everything we needed from screws, dry wall, special waterproof cement boards, grout, adhesives, concrete, sand, electric fixtures, plumbing fixtures, spotlights, special light for the shower, vent fan, shower door, toilet and everything in between that we needed for the project from Home Depot. We are thankful to a wonderful family friend who is knowledgeable and skilled in doing renovation projects like bathrooms that was able to help us through and guide us in doing everything correctly. He kept us calm when the basement was getting messy and not convenient to use during the construction. Taking on a do-it-yourself project saves money, time and gives an end result that we are sure to be pleased with and feel good every time we see it. When we do the project ourselves, we can invest on quality products and always change our mind while we are doing the project compared to if we hire a professional who wants to finish it fast and get their wage. 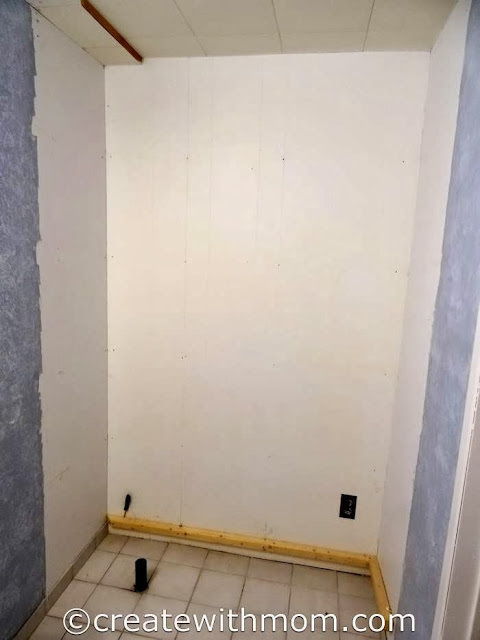 DIY projects also allow us to keep the project within our budget and do it as time and money permits. The choice of materials we use, the care and attention we can give to the details in the bathroom will make us appreciate it more. The pleasure and satisfaction of a DIY project is well worth the hard work, the patience and the learning experience. Having a knowledgeable friend will help a lot, as it will make things smooth. We learnt a lot about techniques, quality of certain products, how to use a variety of tools and many more. 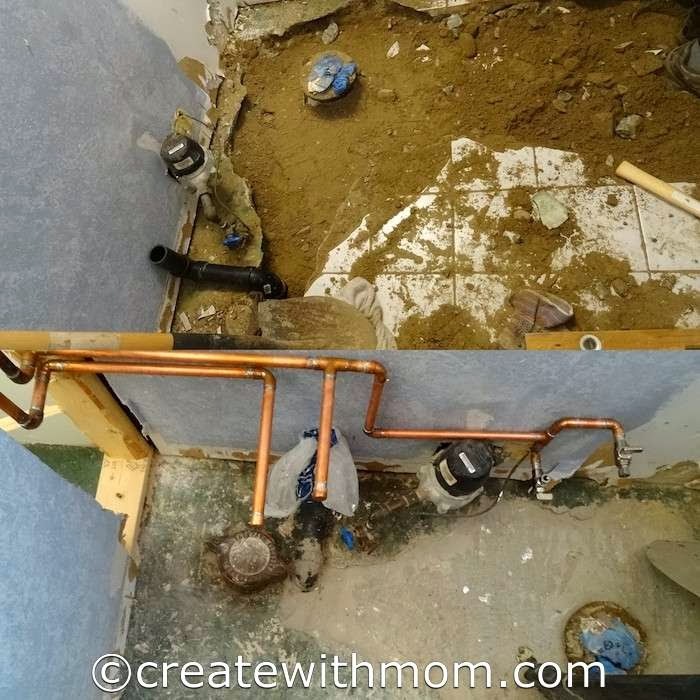 We have a couple of DIY projects to do, so we can add some personality and decor to the bathroom with a custom made mirror and something to cover the pipelines by the water meter. Taking on a DIY project has lots of benefits, so I hope you are inspired by our #BathroomReno to take on your own. Looks great! We have been doing mad renos here because we are moving. Had to get it ready for sale. Anyways, it's always such a big job, isn't it? What a lot of work, but well worth it! Your powder room looks fantastic! 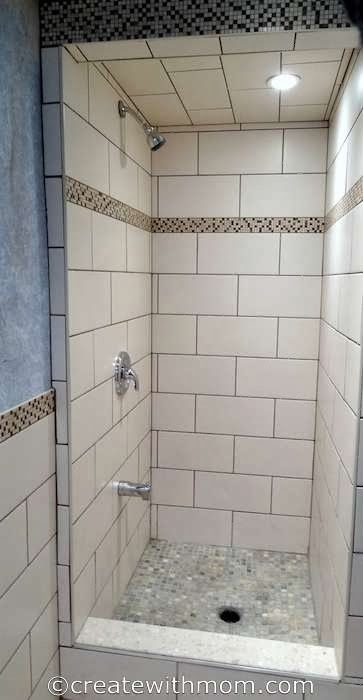 Your new bathroom looks great! I have a bathroom in need of remodeling right now. 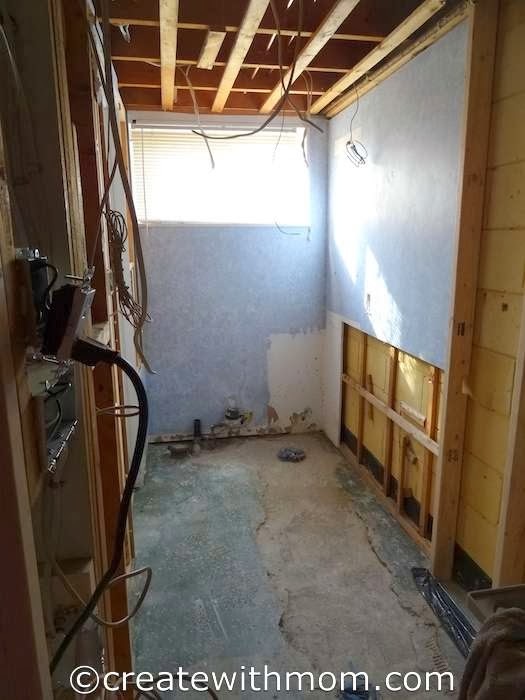 We've torn all the old tile off and now we're not sure what we want to do. Great job! What a lot of work that must have been! I wish I were handy like that. Wow it looks great. 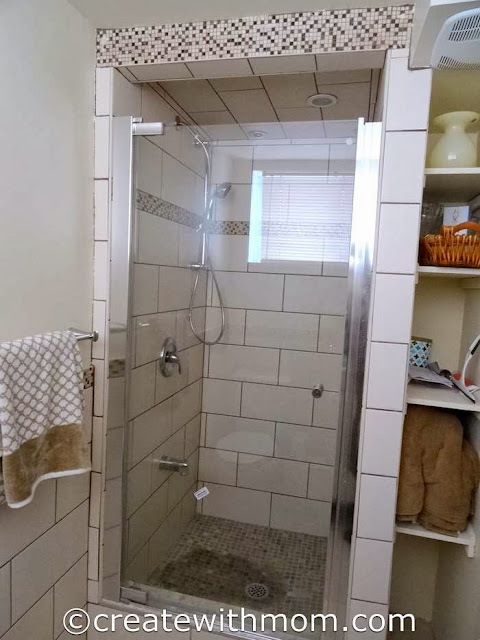 Want to come & design my bathroom? What an ambitious project. Looks great and I can see why you would really enjoy it now the renos are finished. 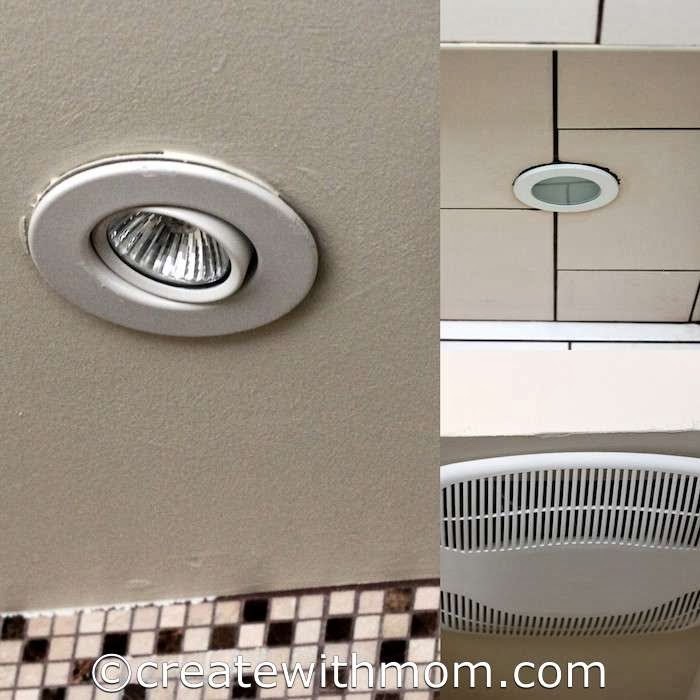 we have wanted to redo our bathroom and never make it a priority. now it will be even less because i can see just how much work it is! looks great! 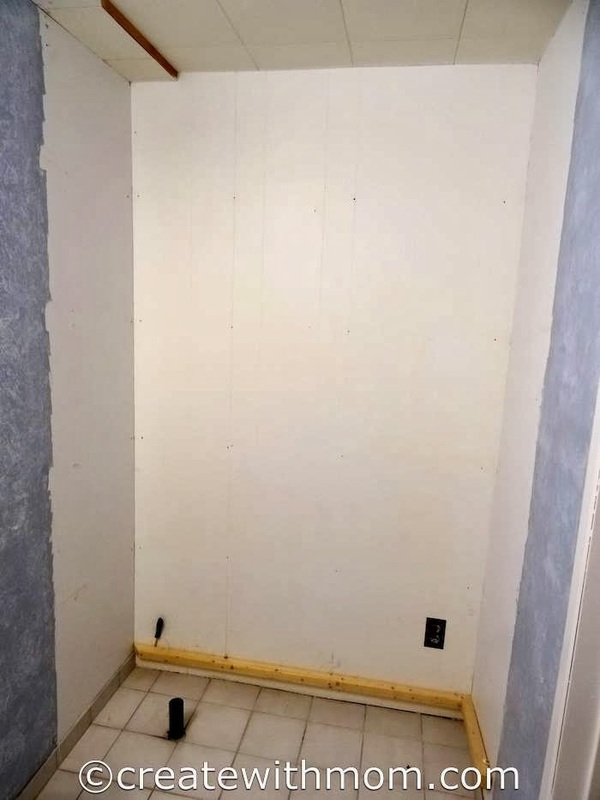 Looks really nice after, I need to invite you for our renos, now you are a profi. Looks fantastic! You did a wonderful job with the shower! 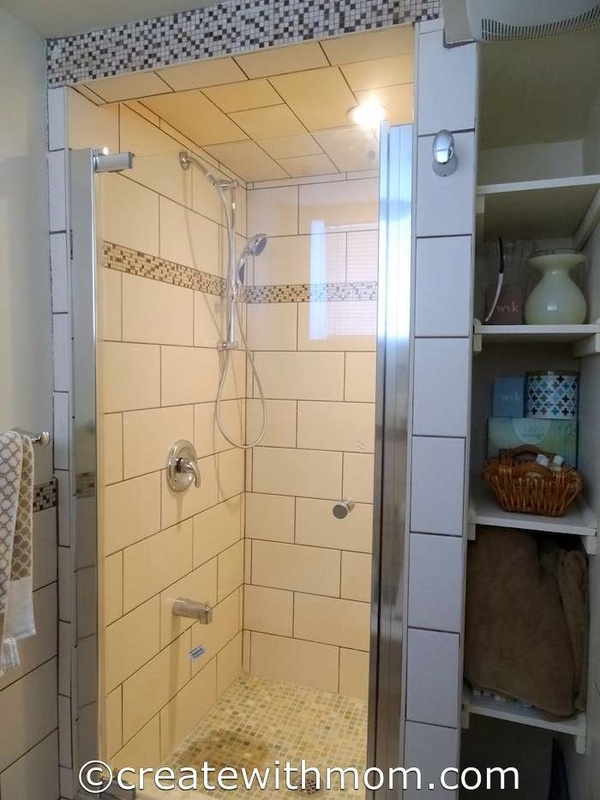 I love the pattern of the tile you chose! You all did an amazing job! Looks great! Quite the project! Amazing job. It looks lovely.